Growing up I was always one of the small kids in class. I was never strong enough to hit a home run in Little League. And it was almost impossible to make a shot from behind the three-point line on my eighth-grade basketball team. I started lifting weights in high school, but the saying “You can’t flex bone” applied to me a little too well. Gaining muscle and strength was a challenge, and I thought I’d just be skinny throughout high school. After college, I really started to focus on building strength and gaining muscle. I put on 30 lb. of muscle, got stronger, and ate healthier. I improved my training by incorporating squats, deadlifts, pull-ups, and sprints. I learned the importance of pre- and postworkout nutrition. I added lean protein, carbohydrates from fruits and vegetables, and healthy fats into my diet and lived life with more strength, energy, and enthusiasm. I expected to grow stronger and healthier each day with this lifestyle. Unfortunately, an unforeseen obstacle came my way. 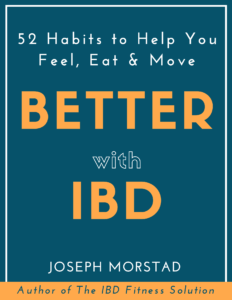 In 2008 I was diagnosed with ulcerative colitis – a chronic type of inflammatory bowel disease (IBD) – that affects the colon and/or large intestines. The innermost lining of the intestine becomes inflamed and develops tiny open sores. Approximately 1.6 million Americans have IBD – roughly half with ulcerative colitis, half with Crohn’s disease. Both men and women have an equal chance of being affected. 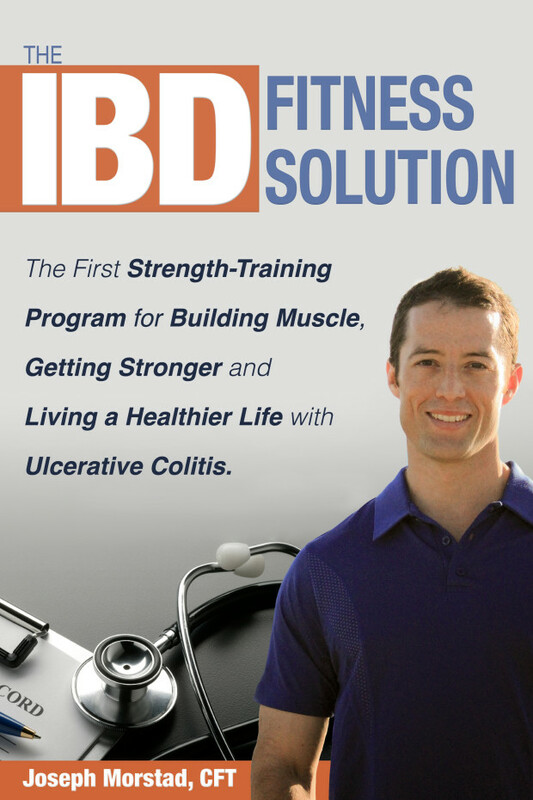 As a symptom of ulcerative colitis, my body was unable to absorb and digest food and nutrients. I saw myself waste away. In six weeks I lost 50 lb., going from 180 lb. down to 130 lb. My body rejected everything I tried to eat or drink. I got to the point of trying to eat baby food at the age of 27. I felt sick all the time. I was always in pain and could barely move. After three separate stays in the hospital I was diagnosed with ulcerative colitis. 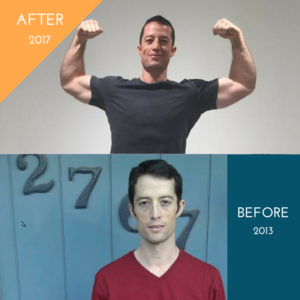 When I was finally released, I had a new outlook on life, strength training, and good nutrition. I was starting from scratch. Just a few months earlier I was healthy and able to run, squat, and bench press. Now just walking down a hospital hallway was a challenge. Despite feeling like a stranger in my own body, I was determined to battle ulcerative colitis. I knew that things would have to change if I was to reclaim my strength and well-being again. The road to my recovery was literally one step at a time. While still in the hospital I began walking from my room to the end of the hallway for my daily exercise. Once back home, I started walking from my front door to the end of the driveway. Then from my house to the neighbor’s house, then up to the street corner. Soon I was able to make it around my block – you would have thought I had just won the Ironman World Championship! As soon as I built up enough strength and endurance from the walks, I was back in the gym. Feeling weak was just another challenge that I now had to overcome. I knew that with each rep and each workout I was one step closer to recovery. I knew that it didn’t matter if I could only do a few body weight squats at a time or barely do one good push-up. The journey back to strength and health was the goal. I began to research everything I ate and drank. I learned about herbal and nutritional supplements. I began to see what was necessary for the body to perform optimally. My strength and nutrition soon began to improve. At each milestone I grew stronger – inside and out. Feeling my muscles grow took on a new level of importance and meaning. I enjoyed each workout with a new level of appreciation. I had just gone through the most difficult experience of my life and somehow came away from it stronger. The experience only showed me the limitless potential of what the human body is capable of enduring. Now a difficult workout was a welcomed gift. I learned to really enjoy food. I learned that healthy food is something to treasure. 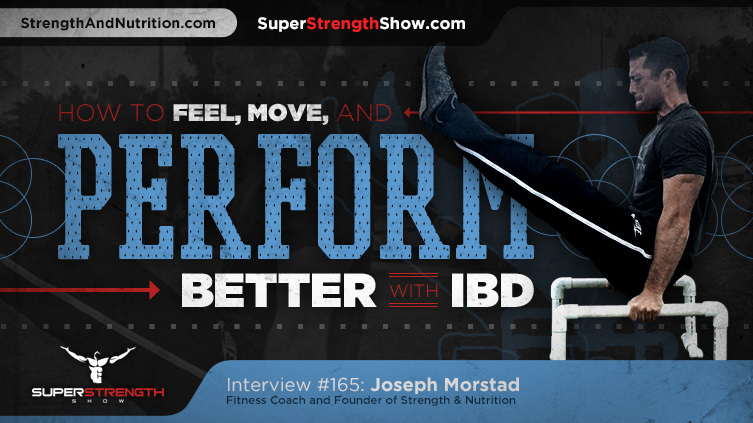 Click for my podcast on The Super Strength Show! After learning so much about my own body, I chose to continue my education and became a personal trainer with the hope of helping others through their own health and fitness challenges. Ulcerative colitis has taught me to see what our bodies truly need to be healthy and strong. It has shown me the resiliency of the human body and the unlimited potential of the mind. Within three months of my diagnosis I achieved my goal of regaining my lost muscle and strength after being released from the hospital. Now I want to take my experience, knowledge, and enthusiasm for living a life of strength and nutrition and provide you with the tools and motivation to battle your ulcerative colitis and achieve your goals! My new book. Available on Amazon soon! Taking pre-orders now.